In this important two-part series on the Anti-Sicilian for Black, IM Andrew Martin covers Black responses to 2. c3 and 2. Nc3. His analysis and ideas show that Black is in good shape and the recommended systems work for players of all levels. 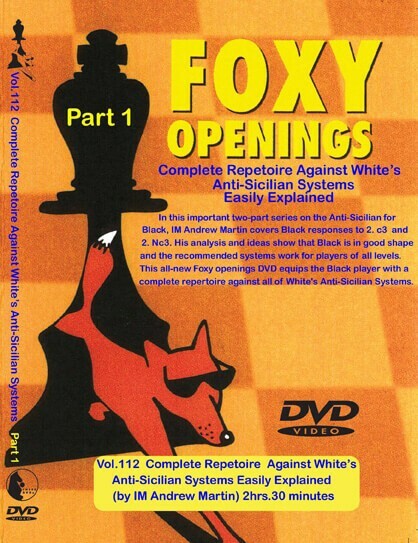 This all-new Foxy openings DVD equips the Black player with a complete repertoire against all of White's Anti-Sicilian Systems.